Well, maybe I flatter myself with the slightly pompous “Independent Scholar” sobriquet. Amateur historian perhaps? Historical blogger? Semi-trained historical layman? Opinionated boor? The “independent” is important however, as part of this post is related to the problems related to taking a more than superficial interest in history whilst not being an active member of a University. Since graduating from Birkbeck in 2010, I have missed participating on the fringes of academic life. My good intentions of going along to seminars at the Institute of Historical Research or Birkbeck Early Modern Society have not come off, largely due to no longer commuting into London every day. Recently a friend made me aware of a Seminar being co-chaired by Filippo De Vivo at Birkbeck as part of the Italian Voices project entitled “Orality and politics: rhetoric and poetry”, which fell on a day I was rostered to have off. Just mentioning this title to colleagues at work (a large engineering company) caused rolled eyes and further confirmation in some minds that I am probably a bit odd, but I was quite excited. Filippo taught much of my MA and was responsible for my developing my fascination for Early Modern Venice, which I hope (or perhaps pipedream of) doing some serious study on one day. A couple of the papers were to be on Venice, including one by Claire Judde de Larivière who had also taught me at Birkbeck, and much of the programme, sounded worthwhile. I don’t get into Bloomsbury, where most of the University of London Colleges are, very often these days and it was good to back. In the short walk from Euston Square tube station, I came across one pair of students, one blindfolded with a scarf being led by the other sniffing at leaves in the park of Gordon square and another ragged undergraduate chap jogging barefoot through the London Streets. I’m entertained by the eccentricity of the young and the clever- I was a bit of a dour engineering student in my undergraduate days. The seminar was in a room overlooking Gordon square, apparently previously occupied by Virginia Wolfe and the Bloomsbury group. Its lovely rosed ceiling and plaster mouldings were disfigured by the ugliest of modern (or, at least 80s) strip lighting, but it was an appropriately picturesque and impractical setting. I was made to feel incredibly welcome, despite being an outsider amongst specialists who mostly knew each other very well. However as the morning progressed I wondered whether I might have misjudged my attendance. Despite my fascination for Italy, my Italian is very slim (a shortcoming I intend to rectify) and although I knew that some of the papers would be in Italian, I found that two of the three in the morning session were, leaving me nodding politely and smiling at the speakers. The third, by Florance Alazard was a rather technical linguistic account of the use of interjections of pain or distress in lamenti– poems about current affairs, which I actually found rather interesting, if a bit beyond my ken. I mean no criticism of the organisers- the target audience certainly wasn’t the monoglot amateur, but I was hoping to get more from the afternoon session. Fortunately I was not disappointed. Stephen Milner’s paper concerned his analysis of preparatory notes which Palla Strozzi the Florentine Century statesman wrote before delivering his orations. This was interesting for its subject matter- that relationship between orality and the written word, but I was really taken by the insight into the historians craft- Strozzi notes were not only undated but at some point his book had been rebound out of sequence. Professor Milner’s ongoing project is to try to relate these notes to known events in Florentine politics with a kind of forensic analysis which put me in mind of The Girl with the Dragon Tattoo (however improbable a Salander Stephen Milner makes). Claire Judde de Larivière gave her paper on the comandadori, who were the voices of the Venetian government- an Italian town crier. She focused, though, on the comandator of Murano, the small island dependency just north of Venice where visitors now go to buy intricate (if rather tasteless) glassware. Venetian republican politics fascinates me with its sophisticated interlocking system of governing bodies and checks and balances on its rulers. These councils however were all made up of the ruling patricians, the populani had no franchise at all. What piqued my interest about Jude de Larivière’s paper was that Murano, with no patricians of its own, was ruled by a Venetian noble proconsul, but also had a council of tradesmen and artisans- unheard of metropolitan Venice. She has promised a paper in the near future. Maartje van Gelder’s paper, again on Venice, focused on the influence of the populani- who, although they had no political franchise, made their voices known in the deadlocked 1595 ducal election. With the (patrician) panel of electors unable to decide for several weeks on the new Doge, van Gelder conjectures how much the protests of the populani influenced the eventual election of the populist, bread doling Marino Grimani. Both of these two papers gave me a timely reminder of why I’m so gripped by Venetian history. However, the point of this piece (if there is such a point) was a conversation I had with Filippo at lunch. When I was a Birkbeck student, I had access to a fantastic range of online resources, including the JSTOR repository for academic papers and the incomparable Early English Books Online (EEBO). EEBO is a huge database of books and pamphlets from the birth of printing to the eighteenth century, all indexed and searchable with a crude looking but remarkably effective engine. I had access to a remarkable range of hhistorical writing and primary sources, all from my desk at home. 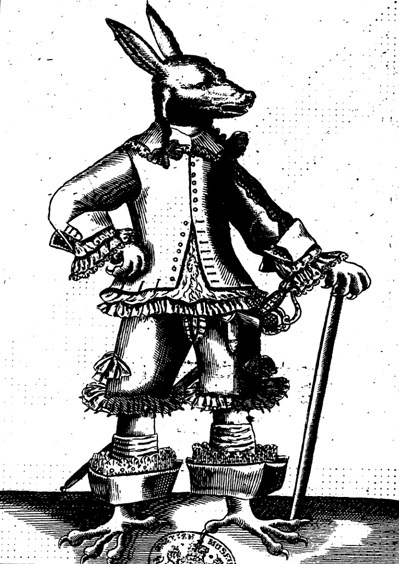 Without EEBO there would be no Eagle Clawed Wolfe- I first discovered the anti-Rupert pamphlet on EEBO, as well as the reports on the Dumbarton’s regiment mutiny which were the first project of the blog. After I graduated, for a while, these resources were available through Alumni membership of the Senate library, before the Chadwyk, the administrators of EEBO made the Senate house remove offsite privileges. Then, for a little longer Institute of Historical Research (IHR) membership provided access, until that too was limited to onsite access at the Senate House. It struck me that in some ways this reflects the trend of the internet in recent years. Newspapers which were formerly free online became subscription only services and the promised Nirvana of universal free information was reigned in slightly by the realisation of those producing online content commercially that (not unreasonably) they wanted to be reimbursed for it. Rest assured, however, gentle reader, that The Wolfe will not be futilely demanding your money in the near future. The difference between online newspapers and my treasured online historical resources, though, is that whereas if I want my online access to The Economist (or, heaven forfend, The Daily Mail), they will grant it, on request, for a reasonable fee. Chadwyk are not interested in private membership EEBO and though I would quite willingly have paid, either directly or for associate membership of an academic institutions’ library, there was nobody who was prepared to take my money. Digitisation and commercialisation of data was, perhaps counterintuitively, making academic history even more of a closed shop. This was the situation I found myself in recently and had given up my Senate House Library and IHR memberships. I voiced this sad tale to Filippo, who, besides having been an academic mentor of mine researches archiving and transmission of information, particularly in Early Modern Italy, giving a neat a historical counterpoint to my situation. Although he offered no more than understanding, I went away determined to see if the situation had improved over the last year or so and whether I can get access to some of the lost online resources. And I met with some success. I found this article on the Early Modern Online Bibliography, a site dedicated to online access to all things Early Modern. 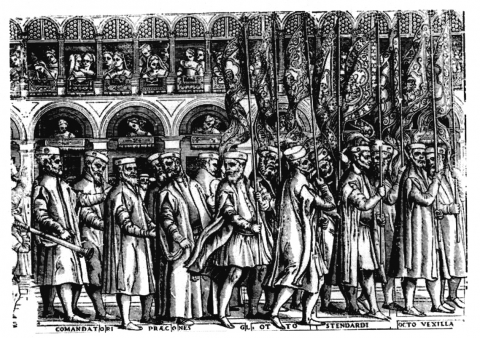 It seems in the States, access to online resources, even for current students is a problem, but EEBO is now available to members of the Renaissance Society of America. After a quick exchange of emails to ensure this was offered outside of the US, and a $60 fee, I found myself as a slightly unlikely member of that body, and have to my joy, restored access to my 17th Century pamphlets and broadsheets. JSTOR proved a little more problematic. The Senate House Library does now offer JSTOR access again but at £220 p.a. for alumni members is very expensive, especially if you do not have chance to access to their onsite borrowing facilities. JSTOR does offer a couple of direct subscription services. “JPASS” is a limited JSTOR access for those outside academia and the RSA offers this at a discounted rate of $99 for members, but I haven’t yet fully accessed what the limitations are. RSA says it provides about 80% access which sounds fine unless what you are looking for is in the missing 20%. JSTOR also offers “Register and Read” which is free but limits the subscriber to reading online (without downloading) three articles every two weeks. I will sign up for that and let you know how it works out. With my enthusiasm rekindled and my resources restored, I hope to give you a bit more history in the next few weeks. This post really struck a chord. When I started teaching in Bedford, I tried to keep my hand in academically by going from time to time to some of the John Morrill seminars in Cambridge or the John Miller ones in London, but eventually pressure of work put paid to that. The question of access to scholarly journals, and the exorbitant subscriptions demanded for such access if you’re a private individual, is an ongoing bugbear, though. Admittedly, Oxford alumni get free JSTOR access, but a lot of maritime and naval history material is a lot trickier (and more expensive) to get at. Be Birkbeck also offer online access to those resources for external members. Brodie Waddell put me onto it. If three or more chums join together there is a discount. Thanks, Ian. When I had previously checked out Birkbeck, their offering was pretty poor- inferior to Senate House so I didn’t go back to them. Looks like with “Be Birkbeck” they have completely rehashed it and provide just what I am looking for. Brodie. Thanks on both counts. You have a very fine blog. Laura Stewart also taught me at Birkbeck, and that conference looks interesting- hampered only by my unfortunately being in full time employment. Yes, so many of these events seem to end up midweek which is no use to people with real jobs. Noted your interest in the “Reivers,” thought you might like my blog. The old “Reiving Country” currently needs all of the help it can get! Thanks, Brian. I’ve had a quick look over you blog and it looks superb. I will certainly go back for a longer read. I’m also a sword collector (or at least I was, I now have a small, static collection) so it hits a couple of buttons. Have you thought of joining the London Library?